Some hobbyists may ask if a CNC router can cut aluminum since you most often see other users cutting wood or plastic. You can use your machine to cut aluminum if you know how to do it right. Aluminum (and other metals) are different to cut compared to wood or plastic. They have a smaller “sweet spot” for optimal cutting. If you leave the sweet spot your cutter will start breaking and wearing out faster and the surface finish will not be very good. Another thing to keep in mind is the “stickiness” factor (this applies to some other metals too). Aluminum wants to stick to your tool. It will do this to the point where it welds itself to your tool. When sticky bits of aluminum have clung to your cutting edges your tool is not going to have much more life in it. Even though it is challenging you can cut aluminum on almost any router. This article will give you a few tips to make sure you stay on track doing that job safe and proper. CNC machines 3-axis Vs 5-axis, which one is best? All cnc machinists, whether they are professionals or hobbyists, should be familiar with the capabilities of a 3-axis CNC machine. While 2-axis cnc machines do exist, 3-axis cnc machines are the basic, barebones level of machine used by most machinists today. Machines with more than 3 axes can perform all of the jobs that a 3-axis cnc machine is capable of while also boasting other capabilities. Multiaxis cnc machines require less manual labor and are able to create higher quality objects. They are also capable of machining more complicated projects that could not be made using a 3-axis machine. 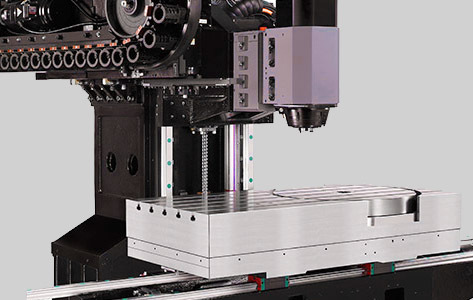 This article will discuss the benefits of one of the more advanced types of machines, the 5-axis CNC machines, in comparison to standard 3-axis machines. 5-axis cnc machines can (obviously) perform movement on five different axes. Because a 5-axis cnc machine is not limited to just x, y and z axes cnc machinists are able to create complex projects without having to stop the machine and move the piece. This reduces the set up time necessary for each project and increases the overall production rates of your cnc machine is capable of. Reducing the need for multiple set ups to a single set up also decreases the risk of errors. A 5-axis cnc machine also has increased accuracy. Because you do not have to move the object being machined your machine will use the same reference frame throughout the entire machining process. Since movement along the x and y axes is conducted simultaneously shorter and more rigid tools can be used. 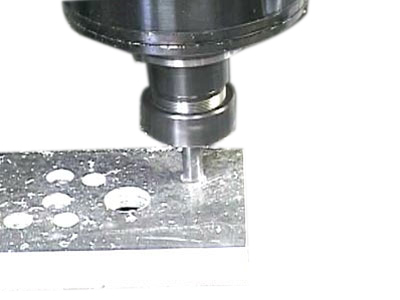 Tools that are shorter (and usually also thicker) reduce vibration generated while machining deep pockets, another added benefit of using a 5-axis cnc machine. The additional axes also allow you to increase spindle speed and decrease the load placed on the cutting tool all at once. Beyond the additional features being appealing, the overall performance of a 5-axis machine is just better (due to those additional features). These cnc machines can fully utilize the diameter of a flat bottom end mill for step overs, instead of the small step overs used by ballnose end mills. Using a flat bottom end mill also means better surface finish and less necessary abrasives. So not only will your items look better, you will have a shorter clean up time once the machine has completed its work. Parts that require more advanced forms of cutting, like undercutting, are flat out not possible with a 3-axis cnc machine. The additional angles that a 5-axis machine can utilize while cutting will up a whole new world of possible projects for you. If you are using a 5-axis machine as a professional and not just as a hobbyist there will be even more added benefits. Many machine shops do not have access to a 5-axis cnc machine and some of the shops that do have them do not have machinists who are experienced enough to fully make use of them. Being able to machine higher quality products at faster rates will give you a huge advantage over the competition (not to mention being able to machine items that the 3-axis cnc machines of your competitors cannot machine at all). There are many different types of engraving tools available and each one is best suited for a certain type of job. Working with a CNC machine, you will be using the rotary cutting method. 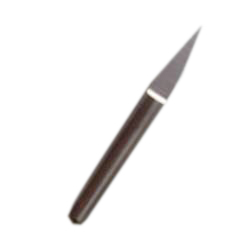 Rotary engraving tools (cutters) are designed to be used with a spindle. You do not necessarily have to use a CNC machine to make use of a rotary cutter but when you are using a CNC machine they are your best option. So many different types of cutters exist that the list may seem endless when you first start browsing through your options. Engraving cutters are made from a wide variety of materials in many different shapes, making each of them best suited for doing certain tasks while working with certain raw materials. For CNC machine The majority of engraving cutters are single-lip tools (only one side has a cutting edge) or half-round tools (the blank is split). Either of these styles will allow your machine to run at high speeds while removing the maximum amount of material and producing good finish. There are also quarter-round cutters; these have greater clearance but are also weaker. 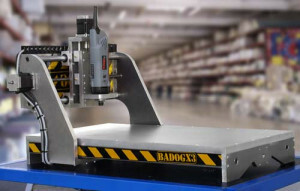 Many spindles commonly use top-loading cutters. These cutters are inserted from the top of the spindle and held steady by a threaded knob, allowing machinists to easily adjust the cutter. The most common sizes for these cutters are 4mm, 6mm, 1/8”, 11/64” and 1/4”. Most of the cutters are made with either carbide or high speed steel (HSS). Carbide is very tough and resists abrasion. The sheer durability of carbide makes it highly recommended for engraving projects. Depending on the type of material you are working with, a carbide cutter will last anywhere from 5 times to 10 times as long as a HSS cutter. While carbide is generally superior, HSS cutters do have their advantages. HSS is not as brittle as carbide, making it the better choice for machining deep, fine cuts. There is a bit of terminology to be aware of when looking through cutters to make your selection. Engraving cutters can be grouped into two major categories, conical and parallel. Conical cutters have angled edges and make cuts in a “V” shape. 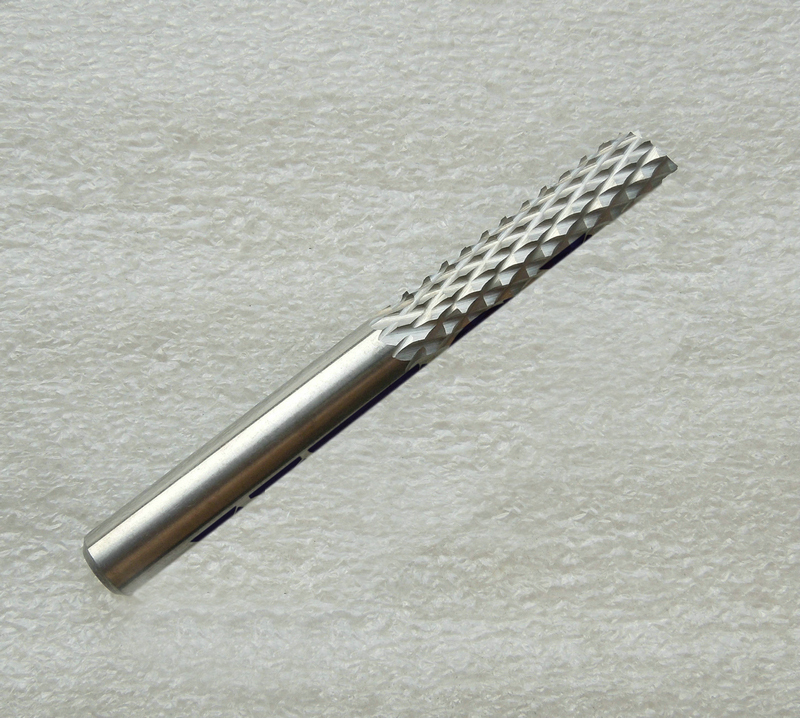 Parallel cutters have straight edges, producing straight cuts with flat bottoms. Clearance angle is the angle of the cutting edge with respect to the cutter. This angle determines how fine your cutting edge will be and allows for chip clearance. Generally, the clearance angle is determined by what kind of material you are cutting into. Usually you will want a larger clearance angle the softer a material is. Most cutters fall into one of 5 different Antares clearance classifications. These are ACR (acrylic), FLX (soft plastics), PHN (hard plastic), BAL (soft metal) and SSS (hard metal). So an engraving cutter with a large clearance angle would work well with soft plastics but would dull very quickly if used on hard metals, and vice versa. Cutting angle is the angle between your tool’s cutting edge and axis of rotation, which determines that shape of your cut. Higher angles produce broader cuts and require stronger tools. Generally you will be fine with a 30 degree cutting angle. A 40 degree angle is good for hard materials while a 20 degree angle works best with soft, delicate materials. 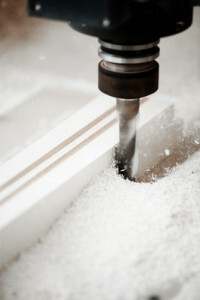 The tip is the flat end of the cutter and determines the width of a cut. It is formed by two angles that determine clearance and you should choose what kind of tip you need based on the material you are working with. Tip width can be measured as double the distance from the tool’s centerline to its cutting edge. This width measurement refers to the width at the very bottom of your engraving cutter. 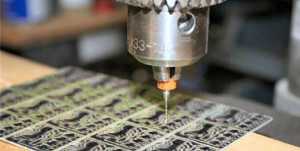 Using a CNC machine for drilling is fairly common for projects that hobbyists or professionals intend to mass produce. Drilling will be something that those of you with a mill, router or lathe can use your power tool for. While any CAD/CAM software can be used to accurately control the feed and depth rate you will need to choose the right drill bit for your project before you get started on anything else. For your power tool there are two primary categories of bits that you can work with and some bits are specifically made to be the best when working with metal or wood on your CNC machine. Insert drill bits tend to be cheap, making them easily replaceable when they wear down and saving you the time you would otherwise need to sharpen them. They are also easy to use, having a ground structural point to help center the drilling operation and not needing to rely on a grind wheel. On the downside, insert bits can leave a burr in the exit hole so you will frequently need to smooth your material over after drilling. With the bits being so cheap you also run the risk of damage to your tool holder if the bits break, which could result in your tool holder needing to be replaced. 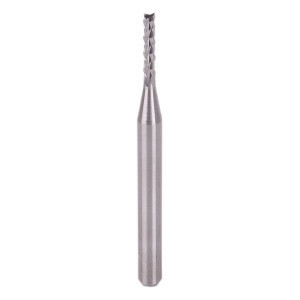 Twist drill bits are a common alternative to insert bits. 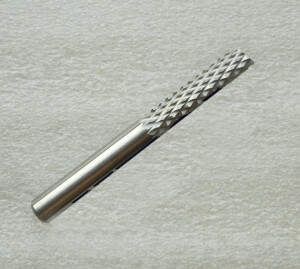 Twist bits use a corkscrew flute pattern with the shape and sharpness of the flutes determining how each bit is best used. Due to this twist bits will require re-sharpening on a power tool grinder from time to time. Individually twist bits tend to be cheaper than insert bits, baring the cost of the grinder and the sharpening. They also have a lower chance of causing burring through exit holes so you will spend less time smoothing your material over after drilling. Metal drilling can be done with a large variety of different drill bits whether they are insert, twist or another configuration. The exact bit you will want to use is going to depend on what type of metal you are working with, how thick the material is and how fast you need to get your work done. However, there are a few drill bits that are commonly used for drilling through metal. Indexable bits are used very commonly with CNC drilling. They feature ceramic inserts that serve as cutting edges and a hardened cutting tip that lessens the frequency of needing to re-sharpen the bit. Indexable bits can drill very quickly and can make holes that are up to five times the diameter of the drill shaft. Spade bits are two part devices consisting of a metal body and a removable bit clamped into a slot. Usually spade bits are twist bits with notches along the cutting edge that are designed to eliminate long chips from clogging the drilling area. Do not get this confused with a woodworking spade bit; in woodworking a spade bit is used with hand tools, not power tools or CNC machines. Ejector bits are used for deep hole drilling and can be equipped with a single head or multiple heads. Single head ejector bits have a single cutting edge on the side that creates large holes while multiple head bits are used to make even larger holes. Multiple head bits also tend to have brazed carbide tips to improve cutting balance. Wood drilling, like metal drilling, can be done with generic bits or more specialized options. Because wood is softer than metal you will not need as much force while drilling and will not have to re-sharpen your bits as often. Flat bits use a flat cutting edge and a sharp center point to drill holes quickly. To avoid wandering while drilling thick materials many people use a pump to blow away excess sawdust when using this type of bit. Dowel bits are a variation of standard twist bits. They have a sharp center point for increased precision and a pair of adjoining cutting spurs for making accurate holes quickly. Augur bits are also twist bits but they have a wider cutting edge and only one outer spur, which cuts into the wood ahead of the edge. They also use coiled threads to keep sawdust away from the cutting point. Augur bits are slower than flat bits but they have much better accuracy.